Treat yourself to a multi-faceted tour of Argentina at our Great Prices! Experience the subtropical Jungle and Powerful walls of water at Iguazu Falls; the fast pace, beauty and romance of Buenos Aires and the monstrous walls of Ice and Mountain Vistas in El Calafate, Patagonia. These are trips of a lifetime that will fill your heart, mind and senses with exhilarating and peaceful sights, sounds and aromas providing you with great stories to share and wonderful lasting memories! 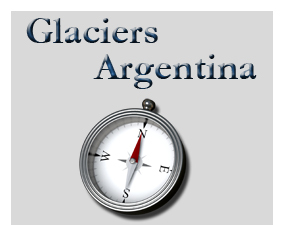 2 nights at El Calafate, in town. Visit to the triple frontier where Brazil, Paraguay, and Argentina meet. 3 Days and 2 Nights at the Obelisco Center hotel located in the very heart of the city. Round trip transfers from your hotel or ship. - Return flight to Buenos Aires. Return flight to Buenos Aires on day 9, non stop. Hotels included in this package are superior hotels with breakfast buffet daily. We can always upgrade hotels to 5 stars if needed. Round trip airfare from the USA to Buenos Aires on American Airlines / Lan Airlines One world. Note: You can divide your stay in Buenos Aires for the beginning and also the end. Either way you prefer the order of locations is fine with us. Total flexibility.